My best Busan travel destinations include the city’s top attractions. These attractions are the ones that the local tourism agency has highly promoted. As I believed they were worth exploring, so I went and sharing my experiences with you. My travel was a perfect time of the year—spring. The weather was not too cold nor too hot to walk and move around for many hours. Pinkish cherry blossom flower started to open wide in the seaside. But they were in full bloom at the Busan City’s streets. The main areas I’ve been to include the East Busan area, Haeundae area, Nanpo area and other places recommended for tourism. These places were close to my nice hotel in Haeundae District. Haedong Yonggungsa Temple, Ananti Cove, Jukdo Park, Songjung Beach area, Cheongsapo Daritdol Observation, Dongbaek Island, Haeundae Beach, Songdo Marine Cable Car, Songdo Beach, Songdo Cloud Walk (Turtle Island), Gamcheon Culture Village, Jagalchi Market, Yongdusan Park (Busan Tower), Oryukdo Skywalk, Beomosa Temple, and other places I had visited. More descriptions and photos of these places are available below. 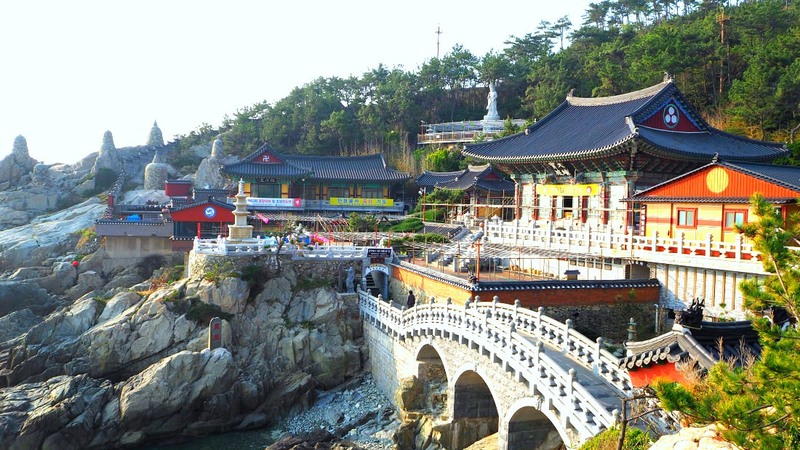 Haedong Yonggungsa (‘dragon’s palace temple’) is a beautiful temple site with temple buildings built on top of the rocky seaside. It boasts its amazing located views, old temples, granite carvings, and other Buddhist religious symbols. I took a taxi from Haeundae Beach area where I booked my hotel. It only took around 15 minutes for less than 10 USD. Buses are available but could take around 50 minutes to get there as they make many stops. For you to decide. Take Bus 181 from Haeundae Station (Subway Line 2) and get off at Haedong Yonggungsa Bus Stop. My article about Haedong Yonggungsa Temple. Ananti Cove is a serene and has impressive views of the sea and mainland. I arrived at this place by walking from Haedong Yonggungsa Temple. It took me around 30 minutes. The cove is named after a luxury resort hotel Ananti Penthouse Haeundae Hilton Busan. As I described, I just walked from Haedong Yonggungsa Temple--which is a fantastic experience, and I would definitely recommend to other visitors. 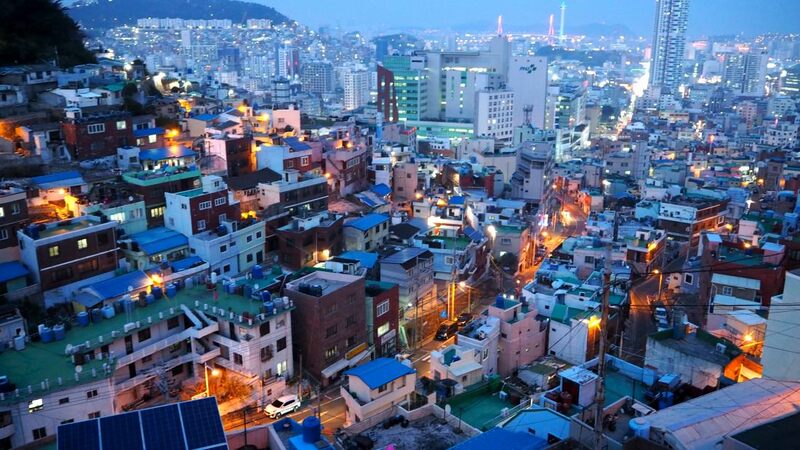 By car or taxi, it would only take around 15 minutes to get there from Haeundae Beach area. It will take 30 minutes from Busan Train Station and around an hour from Gimhae International Airport. My article on Ananti Cove. 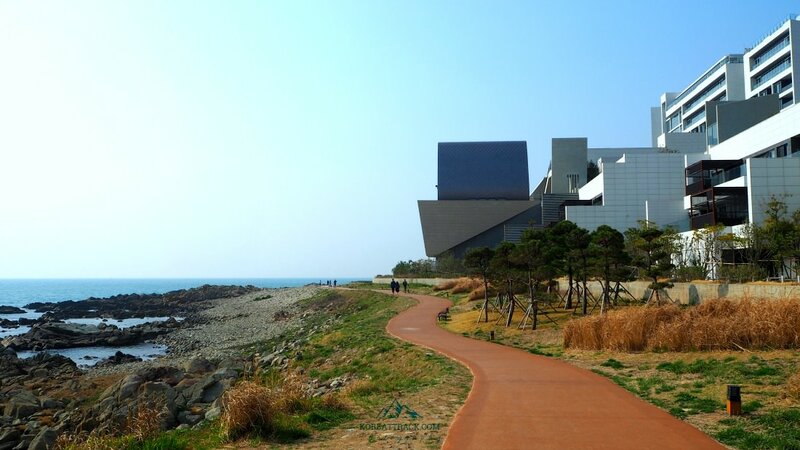 Jukdo Park is a cute hill that offers fantastic views of Seongjung (Songjeong) Beach and the ocean. It has hiking trails and resting and relaxing areas with views of the serene surrounding. One of its best and favorite places is the lighthouse and the octagonal pavilion area from where you can witness the mesmerizing sunset. I came by walking back from Ananti Cove, an experience which totally enjoyed and will never forget. I think it took me around an hour as I also took photos and explored other sites along the way. Take Metro Line 2 from Haeundae Station then go to Exit 7. Take Bus 100 or 141 then get off at Songjeong Station. Walk towards Songjeong Beach for around 500 meters, and you will not miss it. Songjeong Beach is a beautiful and enticing beach with a soft sandy area and gentle waves. 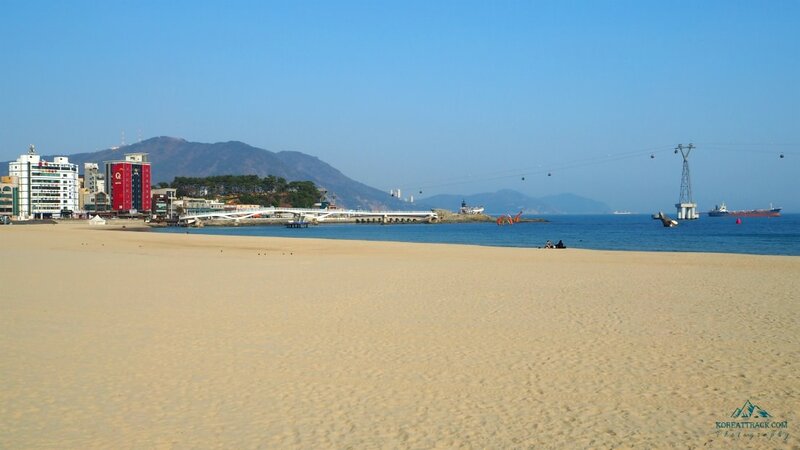 Among the three famous beaches I have visited in Busan, this is my favorite. It is serene, not crowded with tall structures (could be crowded during summertime). It has hotels, cafes, shops, surfing facility providers, among other holiday necessities. Taking a taxi from Haeundae Beach area would take around 15 minutes. Otherwise, see my guide for Jukdo Park on getting there. If you are staying nearby, such as Haeundae area, you can also hike to get there. It could take around 2 hours at most and depending on your pace. Take the seaside trail, and you will not get lost or bored. My article about Songjeong Beach Area. Cheongsapo Observation Tower is an exciting structure where you have a beautiful view of the ocean and above it. It is 20 meters above the sea and 72.5 meters long. 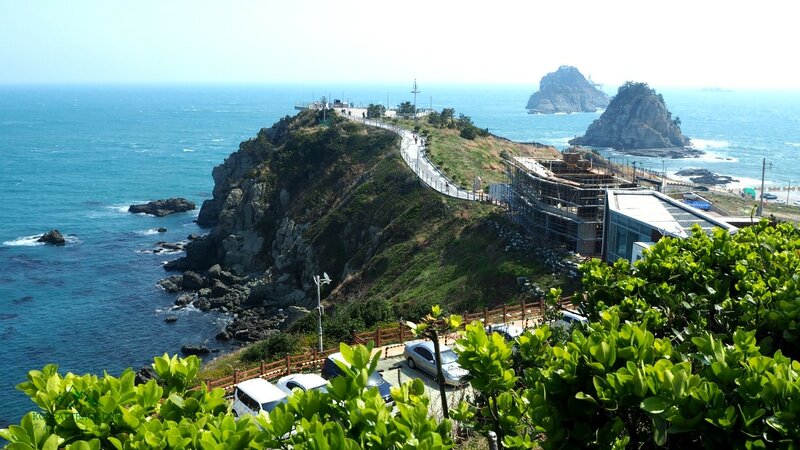 You will already see it from Seongjeong Beach area overhanging the cliff. Since it was early spring, I really enjoyed the blooming Cherry Blossom flowers as I was walking on wooden walkway installed beside the abandoned train railways. As you can already guess, I just walked from Seongjeong Beach which took only around 20 minutes. However, if you want to get there in a jiffy, take a taxi (or car) for Cheongsapo and walk towards the observation deck. By bus, take the No.2 bus from Exit 7 of Jangsan Metro Station then get off at Cheongsapo bus stop. Proceed by walking along the abandoned seaside railway to Songjeong. Also, you can take the Busan City Tour bus and get off at Cheongsapo. 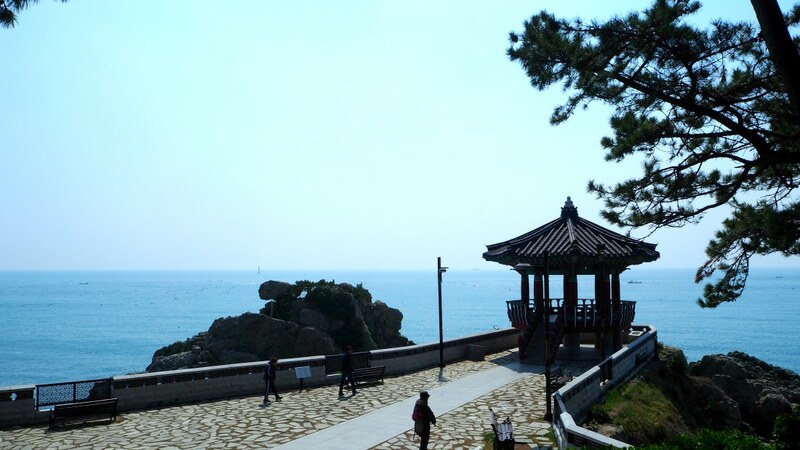 Dongbaek (a Camellia flower) Island is a historic and beautiful park located beside the famous Haeundae Beach. It is excellent for leisurely walking and sightseeing. It is so named ‘dongbaek island’ because of the Camellia plant dominating the place. It is beautifully endowed with rock formations and stories surrounding the island. Two main and exciting sites include the lighthouse area and the Nurimaru APEC House. Just walk towards The Westin Chosun Busan Hotel anywhere from Haeundae Beach area. By subway, take Metro Line 1 at Busan Station (Nopo direction) then transfer to Metro Line 2 at Seomyeon Station (Jangsan direction) and get off at Haeundae Station then Exit 3 or 5. 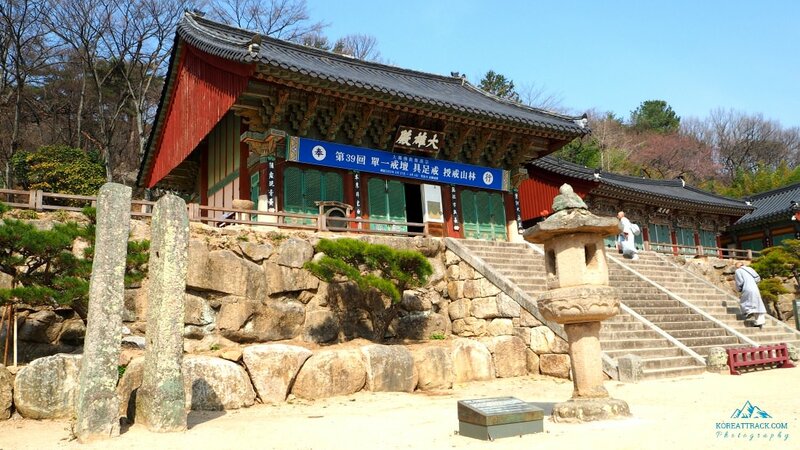 From Haedong Yonggungsa Temple, you can take bus 181 and then get off near Haeundae Station (Exit 4). 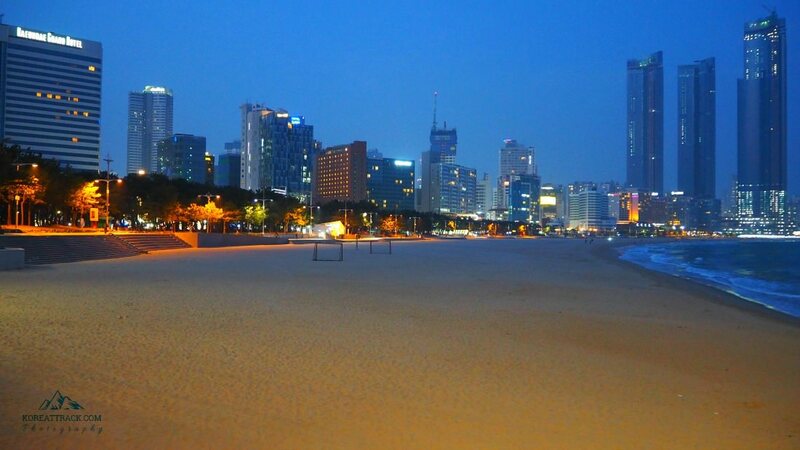 Haeundae Beach is one of the most popular and visited beaches in Busan City. The beach provides various facilities including washrooms, setting areas, beach tents, parasols, tables, and more during the summer holidays. Around the area, you will find high-end and luxury hotels and restaurants. But you can also rent cheaper accommodation, street food, cafes, small restaurants, among others. 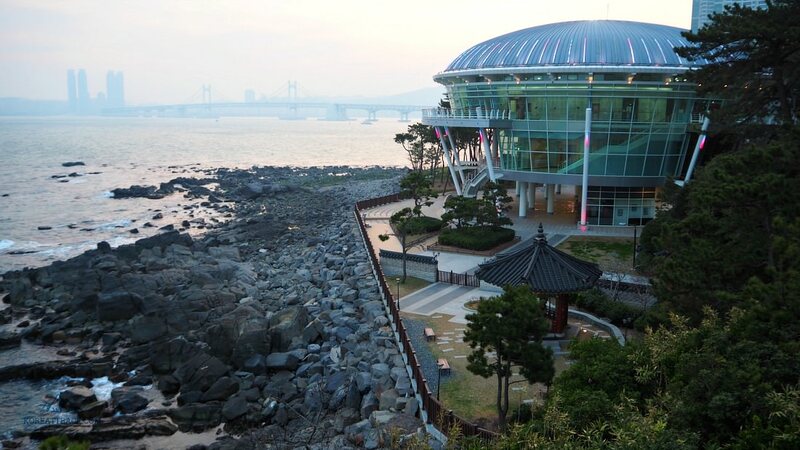 For children, they will enjoy the Sea Life Busan Aquarium located right by the beach area. 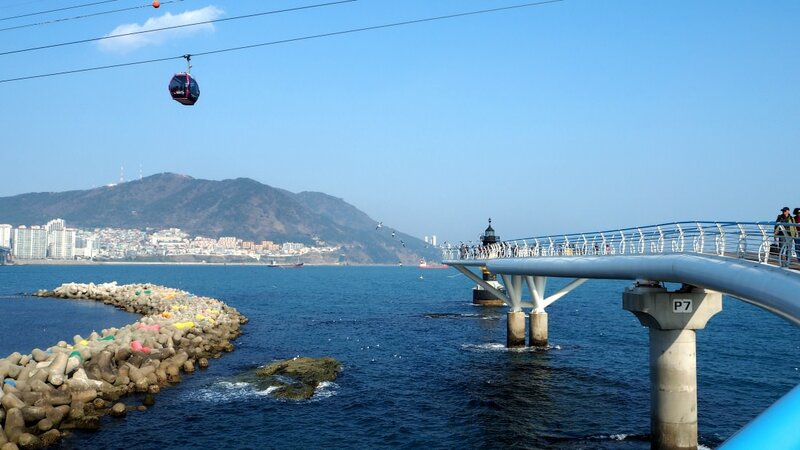 Songdo Marine Cable Car is an exciting experience for anyone who loves to see views from above the ground and over the sea. 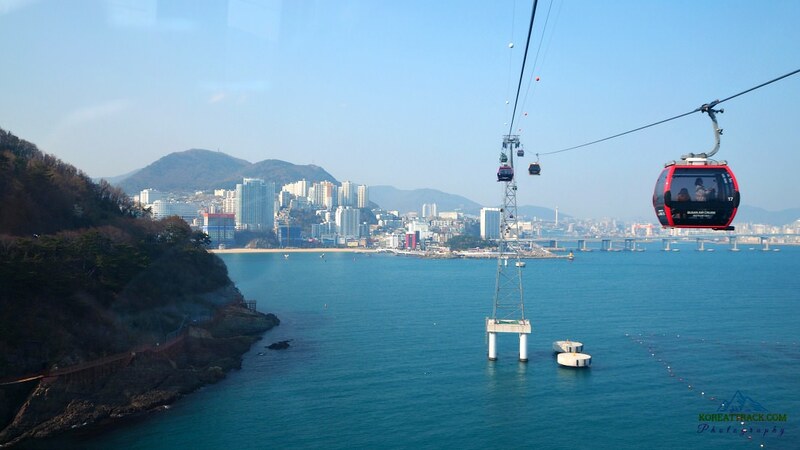 In Songdo, the cable car links the 1.62-kilometer distance between Songnim Park and Amnam Park on a mountain. Aside from experiencing Songdo area’s amazing views, you can also visit the Cable Car Museum and SkySwing. Go to Metro Line 1 Nampo (Exit 1) then take any bus (7, 9-1, 26, 30, 71) from Songdo Beach entrance area. 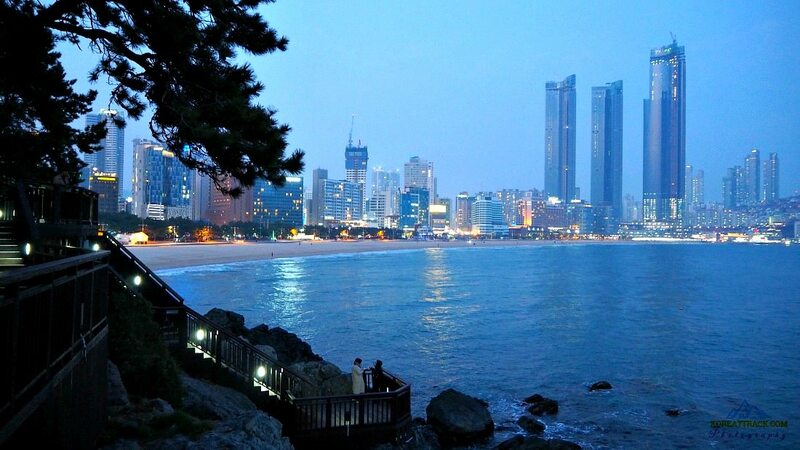 Songdo Beach is another beautiful and popular leisure area. It is surrounded by various exciting, entertaining travel and holiday facilities. Could be crowded during summer. As mentioned above, you can come here taking a subway or bus from various points in the city. Songdo Cloud Walk that links Songdo Beach area and the rocky Turtle Island. It is a popular area to get a much better view of Songdo area’s tourists spots. Songdo Gureum (Cloud) Walk was opened in 2015, the longest and the first curve-shaped elevated observation structure in Korea. By night, it is charming to see the lightings and coupled with the nearby Namhangdaegyo Bridge’s lighting artworks. You can quickly get here by taking the same transports for Songdo Cable Car and Songdo Beach. I visited this area during evening time--the lights emitting from the cascading houses is amazing to look at. Some observers call Gamcheon Culture Village as the “Machu Picchu of Korea.” Historically, the village came into being in the 1950s as a refuge after the Korean War. Now, it is turned into a tourism site as residents became creative by making murals that adorn the maze-like alleyways and corners of the village. You can take Metro Line 1 and get off at Toseong Station and out from Exit 6. Then choose any of the Maeul Buses (village bus): Saha-gu 1-1, Seo-gu 2 and 2-2. Finally, get off at Gamcheon Culture Village. Jagalchi Market is the most famous seafood market in Busan City. 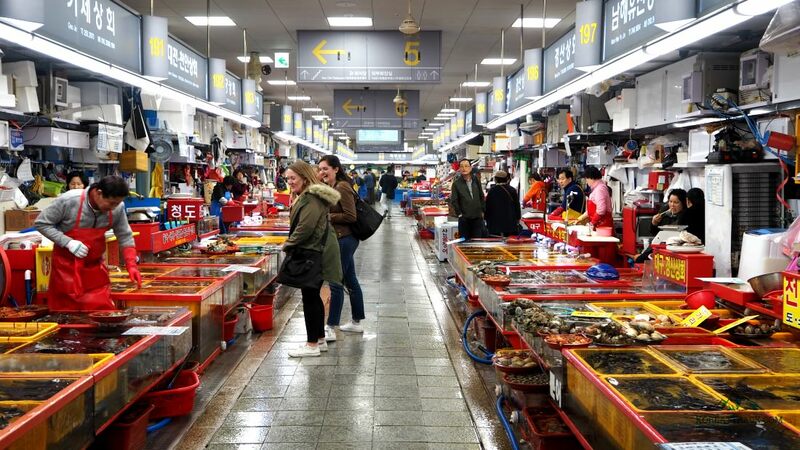 It is located in Nampo District, a bustling district of Busan where locals and foreigners come to see, buy and eat fresh seafood. You can simply point at the live seafood of your choice, and it will be expertly sliced and served fresh. The fresh catch are being kept in small aquariums in the large market’s various sections. Yongdusan Park is a famous travel destination with various exciting facilities around the area. 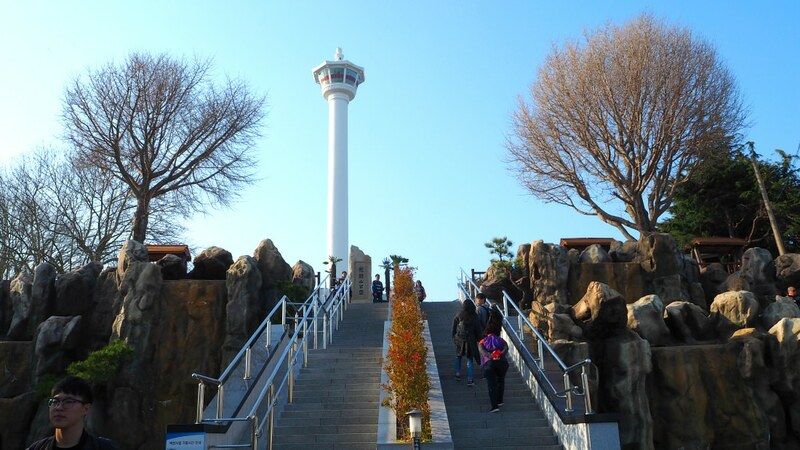 It has the famous Busan Tower which stands 120 meters high. A breath-taking view of the cityscape from the top is its attraction among visitors. Aside from the intricate Buddhist Bell Tower, the pinkish flowers of Cherry Blossom, spaces, and others, you can also enjoy snacks and cafe inside the park area. You can take Metro Line 1 and get off at Nampo Station Exit 1. It is only 200 meters to Gwangbok-dong Fashion Street. I did use the escalator for Yongdusan Park and seemed to be the only means to get there from this point. 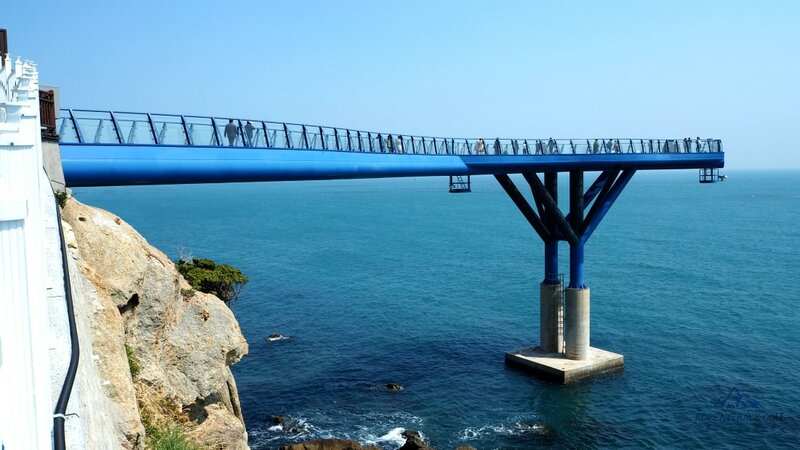 Oryukdo Skywalk is a metal structure with a glass bottom for visitors to see the fantastic panorama of the famous islets and surrounding areas. The area is also famous for fishing. If you want to, you can also enjoy sushi (or hwei) located by the right side of the skywalk. Take the Metro Line 2 and get off at Pukyong National University Station Exit 3,5. Then take bus 227 or 131 and get off at Oryukdo SK View Back Gate. Thanks so much for reading through and hope this has been useful.